Stocks entries, excluding manual corrections, are controlled by the Purchases add-on. Each registered supplier delivery for a product will affect the existing stock. 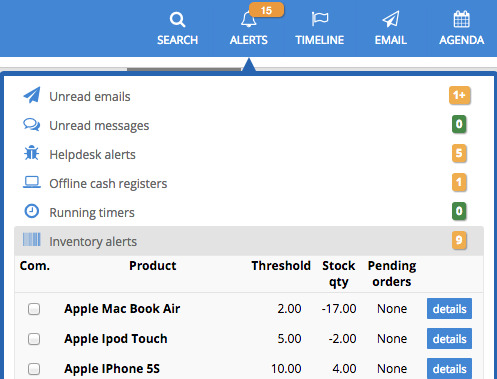 If you confirm, a stock alert will be triggered at the top left of the interface.